With support from Erasmus+, the EU programme for education, training, youth and sport, SERVE and our partner Young Africa will implement the “SERVE/Young Africa – Building Capacity to Advance Young Africa 2017-2019” programme. (5) The pilot Achieve programme which aims to support the most marginalised youth to access TVET programmes in Zimbabwe. In total over 100 YA staff and 50 youth will be direct beneficiaries. The first training event will take place in May 2017 and SERVE will be updating this page regularly. Information about the Erasmus+ programme is available here. 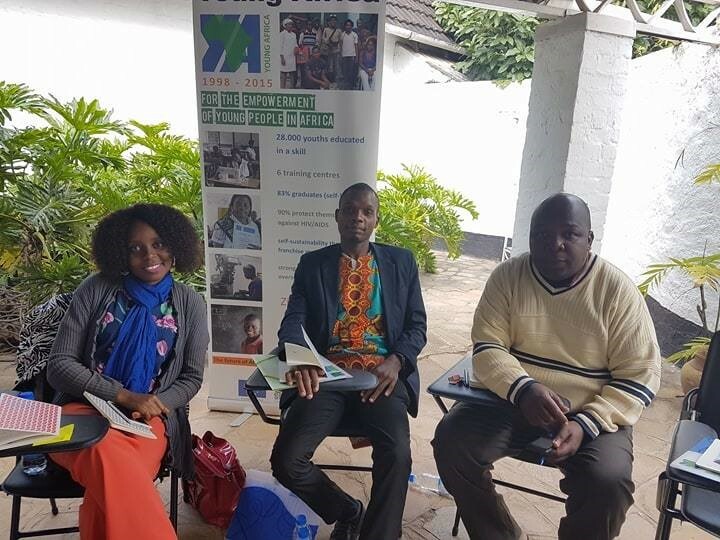 In May 2017 SERVE, with the support of EU Erasmus+, facilitated Child Safeguarding and Protection Training at the Young Africa HUB, Harare, Zimbabwe. Rita, Samuel and Dalte from Young Africa Mozambique. Young Africa, a partner of SERVE, is a youth empowerment organisation that focuses on the integral development of underprivileged youth in southern Africa through the delivery of skills training, entrepreneurship training and life skills education. 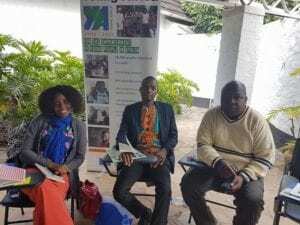 Directors and Programme Officers from Young Africa centres in Zambia, Mozambique, Zimbabwe, Namibia and Botswana gathered at the HUB for the training which was facilitated by Chris O’Donoghue. Chris was ably assisted by Petunia Magobe from South Africa. 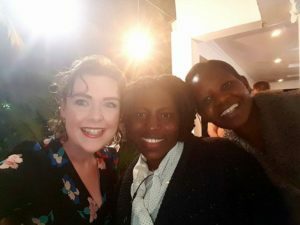 Karina, SERVE, with Cathrine and Tendai, Young Africa Zimbabwe. Topics covered included: Child Protection, Child Safeguarding, Abuse, Reporting, Policies and Procedures, Risk Identification, Risk Management, Recruitment, Images and Messaging and Cultural Practices. The seminar was a positive, thought-provoking and collaborative learning experience for all participants. Further trainings will take place for all staff and trainers at a centre level in Zimbabwe, Mozambique, Namibia and Botswana later in the year. This will ensure that all Young Africa staff from drivers to directors, cleaners to centre managers will know their roles and responsibilities when it comes to child protection and safeguarding.